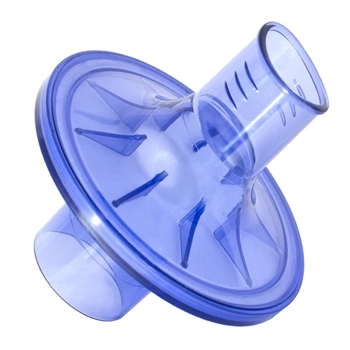 VBMax™ Pulmonary Function Testing Filters are disposable bacterial-viral filters designed for spirometry, body plethysmography, and PFT systems. 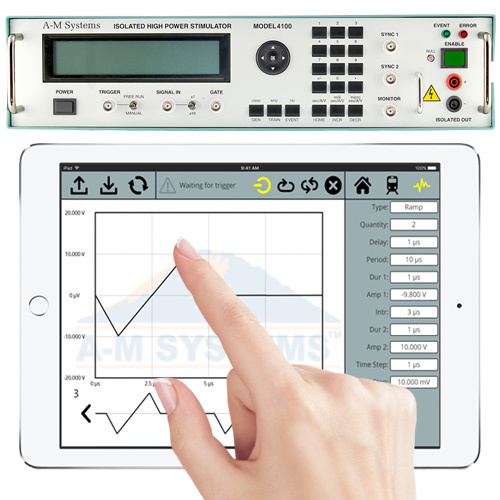 Choose your pulmonary function analyzer from the products below to find the correct filter sizes. If your spirometer or PFT equipment isn't listed in the title, please refer to the complete cross reference below. 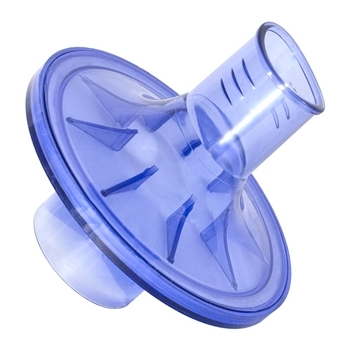 VBMax Standard PFT Filters: feature a round patient-side mouthpiece and include a paper mouthpiece. 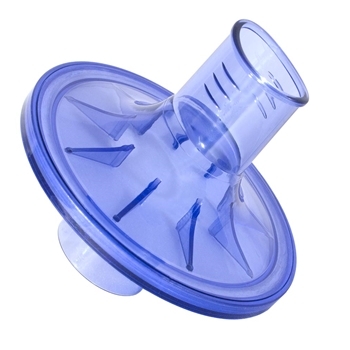 VBMax E-Series PFT Filters: feature an oval patient-side mouthpiece. 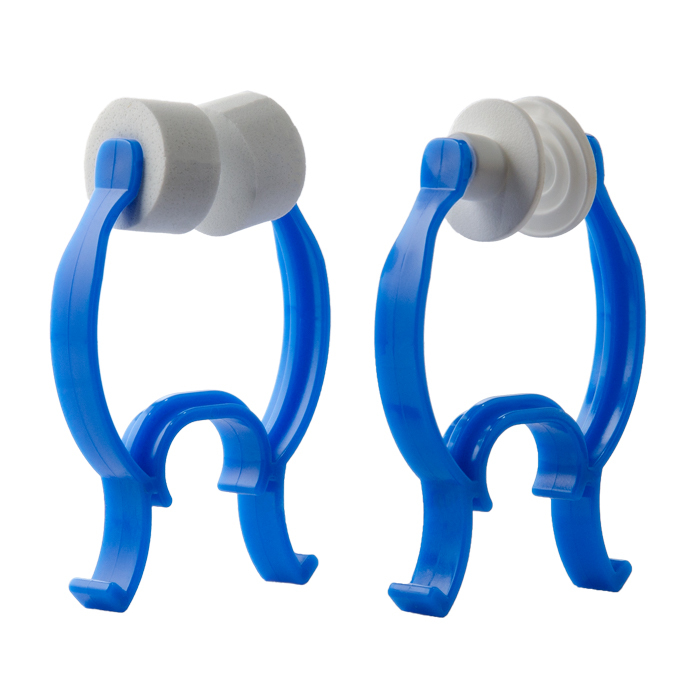 VBMax S-Series PFT Filters: feature a smaller, oval, patient-side mouthpiece with built-in ridges for better grip. 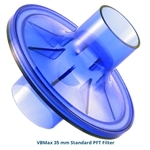 Available in Standard VBMax PFT Filter. 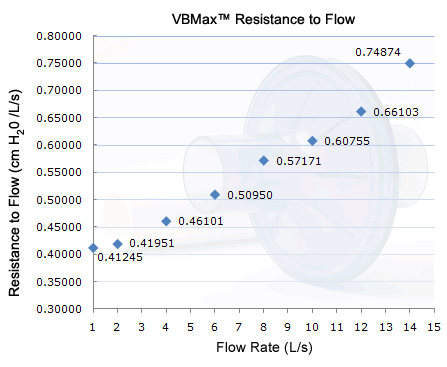 Available in e-Series and S-Series VBMax PFT Filter. 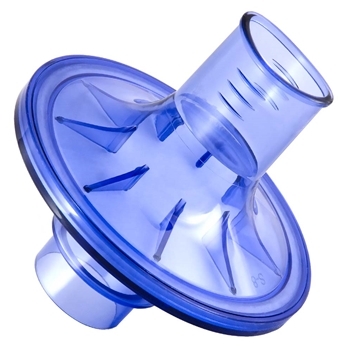 Available in Standard, e-Series, and S-Series VBMax PFT Filters. 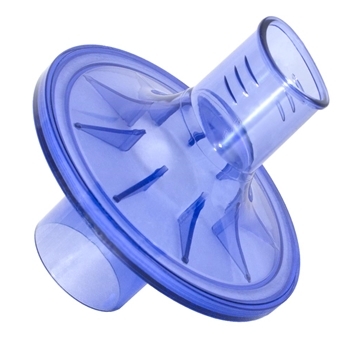 Available in Standard VBMax PFT Filters. 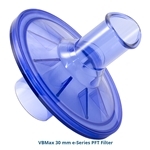 We provide free samples of the VBMax PFT filters and Pulmonary Function Test Kits. 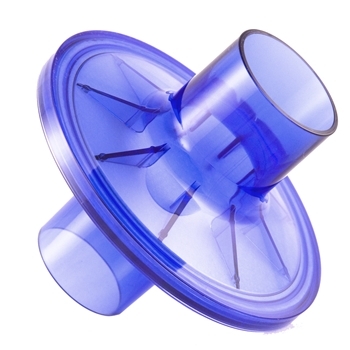 Contact us today to request your free sample. 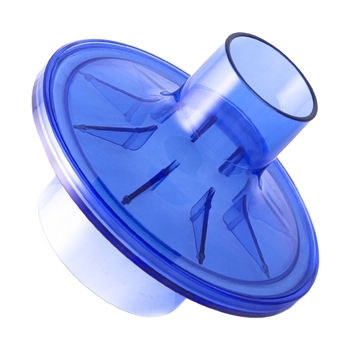 * Independent laboratory tests have verified that this pulmonary function filter is highly effective. 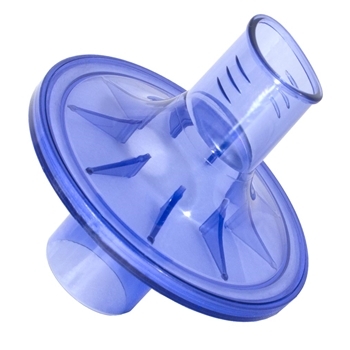 ATS/ERS guidelines on spirometry suggest resistance should be below 1.5 cm H2O/L/sec at flow rates of 14 L/sec.